The NaturallyCurly.com editors (including myself) will be talking about the things we look for in our favorite hair products… and the things we stay away from. 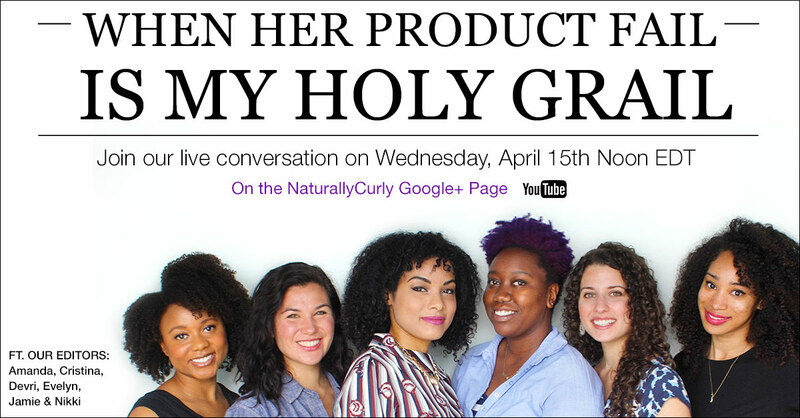 If you have natural or curly hair, this live chat is for you. Save the date- TOMORROW at 12pm CST! And read more of my articles for NaturallyCurly here. Previous What does handicapped LOOK like? Next Learn to be physically present, emotionally absent.